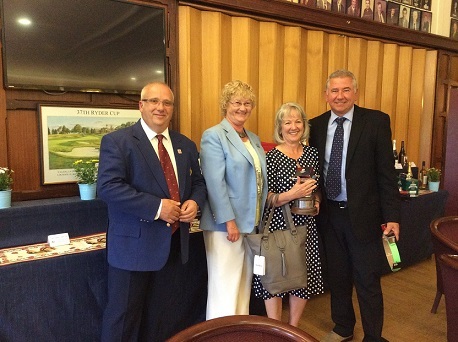 The Lady Captain's Charity Day was super and well supported by the club in terms of donations and prizes. We raised £1120 on the day thanks to a super raffle, guess the golf items and a lucky dip. The BHF sent a representative to support the day. Thanks to the Ladies Committee, also on the day Iris, Christine, Sandra and Jane for selling tickets. To Judy and Ann for running the half way house and for all the lovely cakes that were donated on the day. A big thank you to the Auction sponsors: Mike & Gloria Taylor - Excitim Toys, Mike Collins - Collins Wealth Management, Craig Wright - Pro Shop Coxmoor. The winners were Pete and Marie Gilchrist with 44 points well done.